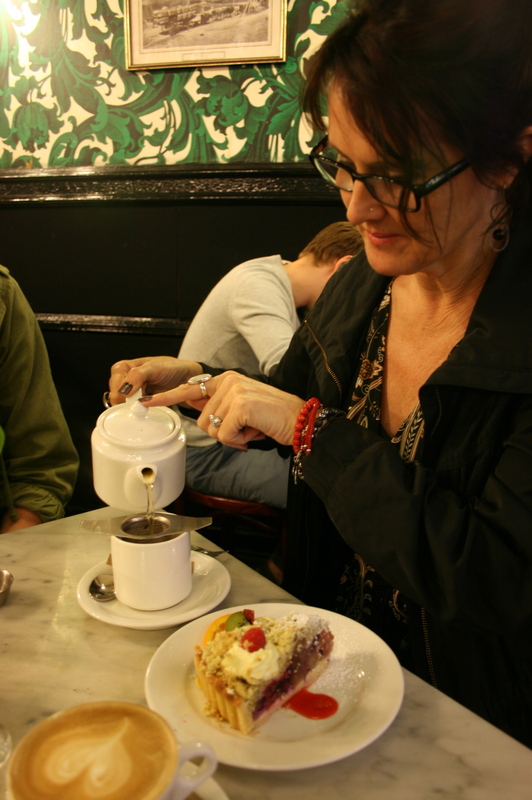 the artist – Denise Daffara / the tea lady – her muse | A sip of my tea. The Tea Lady, or Wild Gypsy Rose .. she has a few names… my Muse, the one who has abundant messages of hope, wisdom and love for me. I have come to meet her as the opposite voice of the inner critic, having a relationship with my muse is a wonderful opportunity to enrich my life instead of depleting it. I may be a bit of a ‘tea lady’ myself… the Muse is, after all another aspect of me. I find solace in a pot of tea, a sacred space in the ordinary of my day, I have a collection of tea cups and teapots, and I love to set an intention with each pot of tea. I hope to make a collection of thoughts, inspirations and wonderings here that might be a blessing to those who find them. My passion is to connect with others in ways that leave us both feeling nurtured, energized, validated, and liberated. Denise, I don’t see a place to subscribe to your posts ….. am I just missing something ….